Bring your home into the 21st Century with the innovative, Honeywell Wi-Fi Smart Thermostat, the first "Smart" thermostat of its kind designed to not only listen to your voice commands but learn new ones based on how the user interacts with it. The innovative voice control feature is easy to use - just say "Hello, thermostat," to use one of its pre-programmed commands, including things like "make it 5 degrees cooler" and your wish is its command. Once it's installed, the voice controlled, cloud based, thermostat will instantly recognize your voice and adjust settings. Even more impressive, the unit gets smarter as you use it, adding additional commands based on its communications with you. 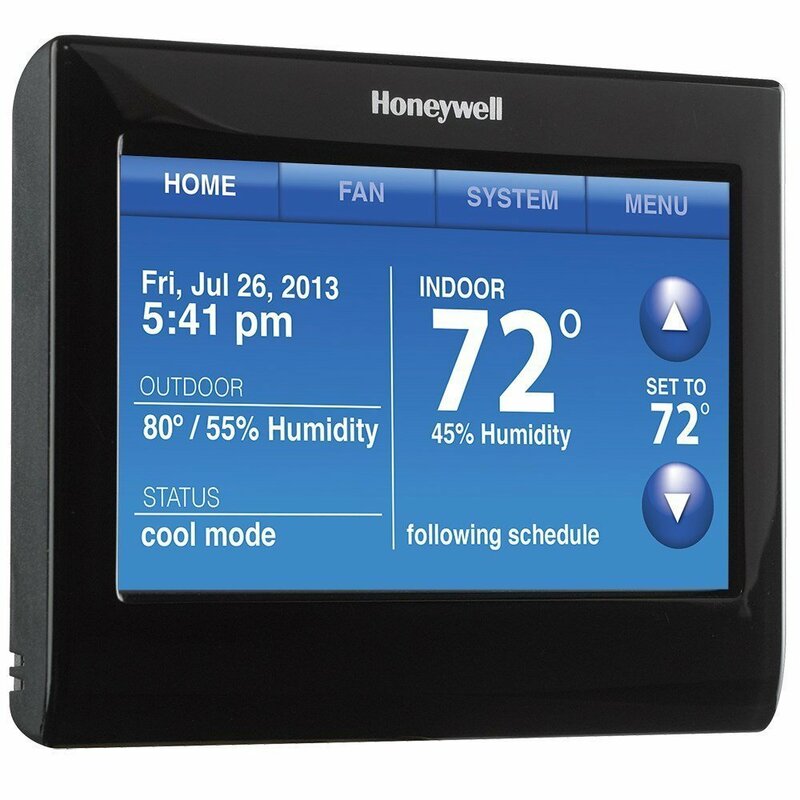 Honeywell's highly rate, responsive app lets the user program their thermostat from their smartphone, tablet, laptop and desktop computer, whether they're sitting in their living room or out of town. With this thermostat you can program each day of the week to suit your specific schedule, or choose several days with the same schedule, making programming fast and easy. To schedule, all you need to do is answer a few questions about your daily (and nightly) routines and this state of the art thermostat knows the exact amount of time it will take to reach your ideal temperature and makes the necessary adjustments. This handy feature reduces energy costs and at the same time ensures that your comfort isn't affected because your home environment will be perfectly climate controlled. You can drift off to sleep at night at the ideal temperature and never have to face another cold morning. *Because it's Wi-Fi enabled you can control the thermostat from anywhere and on multiple devices including a tablet, computer or smartphone. *The easy to read touchscreen can be customized to change colors, matching your paint and/or your decor. *Energy Savings - by choosing the programmable mode, you'll be able to save on annual cooling and heating costs. 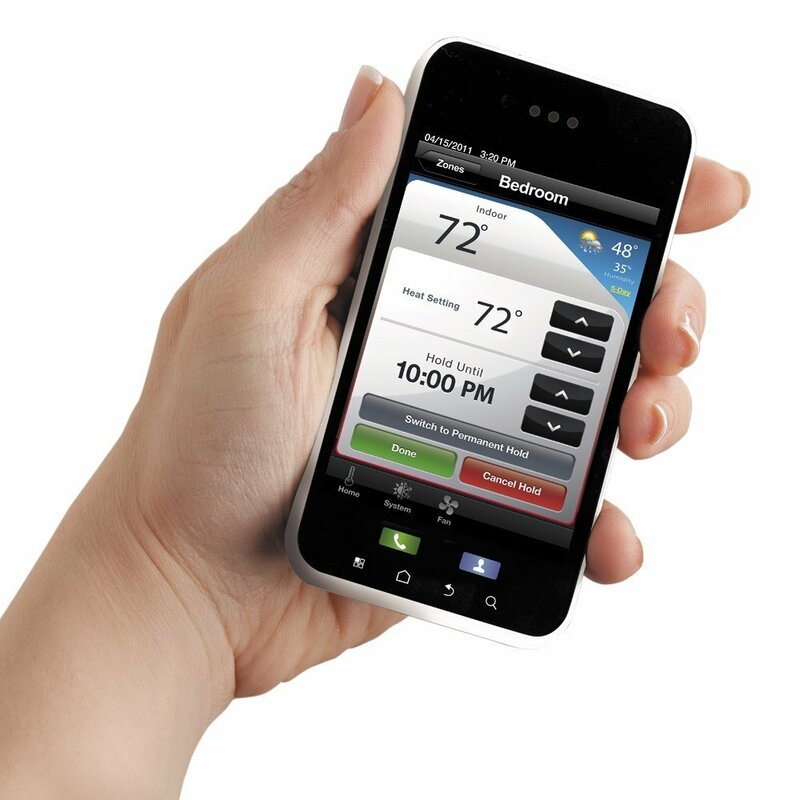 This Honeywell Wi-Fi Smart Thermostat with Voice Control comes highly recommended for anyone interested in reducing energy costs and that would enjoy the high tech conveniences this innovative thermostat provides that can make life easier without breaking the bank.